Mr. Sohail Raza reveals that anti-Semitism is a pervasive bigotry in Muslim culture which imperils treatment of Jews (and Christians) in the Middle East and globally. 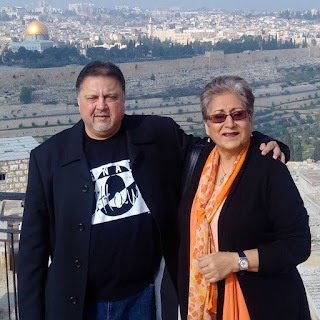 For the benefit of Jewish and Christian education, Pakistani-Canadian, Mr. Sohail Raza of Muslim-reformist group, "Muslims Facing Tomorrow" reveals how Jew-hatred is inculcated through Muslim culture (even in the West). Mr. Raza encourages Muslims to acknowledge and reform what their religious leaders and media distort as demagoguery. 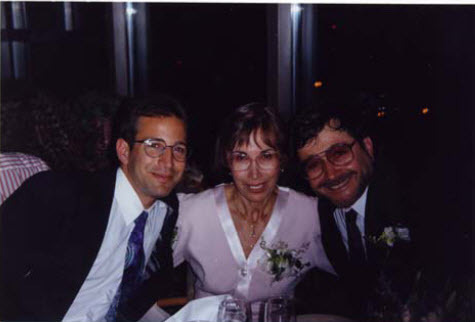 Q: Most Americans are not aware that the son of UCLA Professor Judea Pearl, Daniel Pearl, the Wall Street Journal journalist who went looking for Khalid Sheikh Mohammed in Pakistan. Were they helped, was al-Qaeda helped by the ISI? A: Absolutely yes, and that is the sad part. The mullah, the clerics, the mullah and military alliance. The ISI is also disunited in a certain way that the official version means maybe something different, but there are splinter groups that definitely help terrorist organizations because they used them in Afghanistan and they used them in Kashmir. 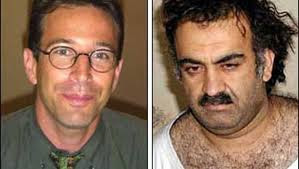 So it is to their advantage to keep them happy and Khalid Sheikh Mohammed was one of them- and Danny Pearl did an excellent job in investigating. Actually he went with a friend of mine, Asra Nomani, also from The Wall Street Journal, a Pakistani, and they did a terrific investigation into Khalid Sheikh Mohammed and eventually it ended up in not very pleasant circumstances. 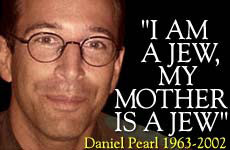 Q: Why in your view did they behead Daniel Pearl? A: The first reason is because he was a Jew - and the supposed animosity between Judaism and Islam which does not exist - even in the Quran it does not exist - and the sooner the two work together the better it is will be for the peace in the world - that is the one reason because he was Jewish because he was American and they wanted to make a statement - and they did. Q: You started off claiming that they killed him because he was a Jew but the Quran preaches otherwise but what's the wider held belief towards Jews in the Muslim world? A: The wider held belief is that of total ignorance. A person who's spouting hate against Jews in Israel- I can bet you anything he doesn't even know where in the map Israelis or what is the history of the Jews. It comes through total ignorance this animosity and it plays into the hands of Muslim politicians whether in the Arab world or in Pakistan or Malaysia or Indonesia. It plays into the hands because that is the supposed enemy - and it is very easy to build a hysteria and a mob against Israel or the Jews. Q: So President Trump has declared that he's cutting support to Pakistan. Hasn’t Pakistan been one of the primary benefactors of American foreign aid over the past 20 years? A: Yes, and one of the better words to describe Pakistan would be a “frenemy”- a friendly enemy. So Pakistan has always played a double game- it has taken aid from the United States of America to build its military. But on the other hand, it is also in the game of appeasing terrorists or terrorist organizations to play its own politics vis a vis India and Afghanistan and Iran to a certain extent. Q: Who is Dr. A.Q. Khan? 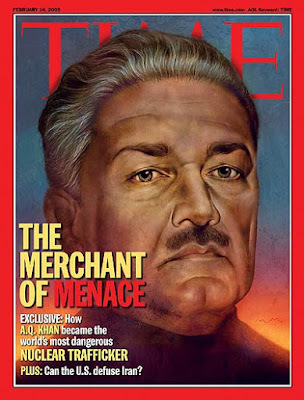 Answer: A.Q Khan is the father of the nuclear program in Pakistan. He stole nuclear secrets from the Netherlands and went about to Pakistan to develop a nuclear bomb. And a lot of people don't know that when we talk about North Korea and we talk about the nuclear program in Iran, it is A.Q. Khan that has sold nuclear secrets to both North Korea and Iran. Q: Hasn’t it been referred to as the “Islamic bomb” that originated in Pakistan - where did he spread it within the Muslim world? A: Well he wanted to spread it more into Libya, into Saudi Arabia but he was stopped and brought in to check. Now he is considerably restrained but the damage has already been done. Q: Israel just revealed that they were responsible for destroying the Syrian nuclear reactor. If they hadn't and that reactor in Syria had fallen into ISIS' hands or nuclear materials, what would the prospects for nuclear terrorism have been? A: Yes, when you talk about Isis you are talking about a totally mad and evil existence of a group of people so your imagination, my imagination, or the viewers’ imagination can be as drastic as possible as to what would have happened if this scenario would have materialized. It would have been complete chaos because you must understand that organizations like Isis revere death. Whereas we the people who have some sanity, revere life and that's the difference. So they would have had no qualms into dropping an atomic device on civilian population on children women, etc., so it would have been a complete disaster - a doomsday scenario. Q: How prevalent is the jihadist - and by that I mean a political global Islamist mentality - how prevalent is that within Pakistanis and other area or subcontinent Muslims within the West today? A: Well I personally, although it has grown substantially, this ideology has taken 40 years to gain strength. It's a result of a turf war between Iran and Saudi Arabia and it has come in to the west by immigrant population from various countries. But my personal view is that we have reached the pivotal point. We have reached the height of jihadist mentality. I think the general Muslim population is sick of it now - they want the children to get a decent education, for them to learn decent earn a decent livelihood, and all these idiots that emerged in Miami and San Bernardino and New York etc, are being looked down upon rather than looked up to as heroes- they are villains and the Muslim population is realizing it and the sooner they realize the reverse can start happening. Q: I can recognize what you're saying is true about about violent jihadism, but how about political Islamism? Is that still a force within the West, and I say the UK for instance and the US and Canada? A: Yes, Dr. Daniel Pipes said it beautifully he said it's our duty now to save the United States, Canada, and Australia. He seems to think that Europe is already a gone conclusion. Yes, the jihadist mentality reigns over there. It is deep-rooted, it is very harmful to living with other ethnicities, co-workers, neighbors. It's a dangerous trend and that's the nonviolent extremism and that has to be brought into check by the government. It's incumbent on them to take a serious note of this and this is a deep-rooted ideology which is exported by the Muslim Brotherhood which, in collaboration with the regime in Iran, is exporting this ideology into the West. So, on the one hand people are getting sick of it, on the other hand it's creeping in at a faster pace than the governments can take a check of it. Q: What sort of activism do you do in your family? A: In my family, we have a policy of the 3 E’s: Expose, educate, and then empower people to eradicate this problem. So we set up forums, we set up exhibitions to expose this. And we've been to the governments in Canada, we've been in the United States. My wife, Raheel Raza, is instrumental in educating the police departments, Defense Departments, and the government at large- to advise them that you have to do something not about the violent extremism, but the non-violent extremism as well. Q: What kind of personal threats do you face from the Islamist establishment? A: Well first of all they try to negate our message by saying ‘they are not even Muslims’ and when they fail to to achieve that and then they resort to more direct threats. But if you are scared of these threats and pack it up, then you've lost if you even. If you're even intimidated by these threats you've already lost. So that is not something we even consider. Q: Are you in competition essentially with … to the authorities with Islamist or pro-Islamist advocacy groups? A: Yes of course. Organizations like C.A.I.R. the Council for American Islamic Relations is the problem and we want to make it very clear they are not part of this is the solution. They claim to represent Muslims but they represent only the wrong kind of Muslims. And they are the villains in this day and age in the United States. And they have a sister concern in Canada which is just as worrisome. Q: How do you feel about the monitoring of mosques in the West? A: The monitoring of mosques? Q: Because currently the FBI doesn't do that. For a long time they haven't done that. Is it time to monitor what's going on in the mosques? A: I have no problem with that if the mosques have something to hide then they will try and stop you from monitoring them. If the mosques are really a place of worship… that they are only there for spiritual reasons to worship God, then what is there to hide? If there's no political messaging out there then why be scared of anybody monitoring them? I would welcome- the mosque that I go to - if people come and watch what is happening there. Because I myself raise alarm bells if the message is not spiritual but political. Q: How can people follow your work? If they'd like to keep in touch and see, look and learn from you? A: We have a website www.muslimsfacingtomorrow. You can always give go there leave your comments and follow what we are doing. And you can contact me my name is Sohail Raza. Just one word of caution that once the Wahhabi message is brought under control we still have to worry about Iran and the Muslim Brotherhood and I think Western governments should declare the Muslim Brotherhood as a terrorist entity that will put more pressure on Iran to and lack of other words behave uh-huh would you support the u.s. making a preemptive strike or Israel making a preemptive strike against Iran's potential nuclear weapons it's very difficult to answer that because a strike was made in Iraq Iraq is a completely different country Iran has its own infrastructure and it will be rather difficult to make such a strike but I think what needs to be done is for Western governments to encourage putting down this murderous regime in Iran by empowering people of Iran as what they were doing a few months ago then it died down is to come up and face the challenges and get rid of this regime.